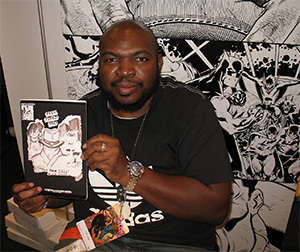 Dexter Vines is one of comics most prolific and well respected artist inkers in the business with over 18 years experience. Having worked on some of the biggest titles from Superman/Batman, Civil War, and Wolverine: Old Man Logan, he is still going strong with no end in sight. Recent projects include Buffy The Vampire Slayer, Avengers: X-Sanction, and Nova. Vines will be in Artist Alley so stop by and say hi and get a autograph.